The All-India Muslim Personal Law Board (AIMPLB) has submitted written submissions before the Supreme Court in matters relating to triple talaq. The Supreme Court is likely to hear the petitions on March 30. During the last hearing, the bench headed by Chief Justice JS Khehar asked all sides, including aggrieved women petitioners, Centre, AIMPLB and women rights bodies, to submit written submissions by March 30. The Centre had submitted four questions for the Constitution Bench’s consideration. Whether the impugned practices of talaq-e-biddat, nikaah halala and polygamy are protected under Article 25(1) of the Constitution of India? Whether Article 25(1) is subject to Part III of the Constitution and, in particular, Articles 14 and 21 of the Constitution of India? Whether personal law is law under Article 13 of the Constitution? Whether the impugned practices of talaq-e-biddat, nikaah halala and polygamy are compatible with India’s obligations under international treaties and covenants to which India is a signatory? Whether the present petitions are maintainable? 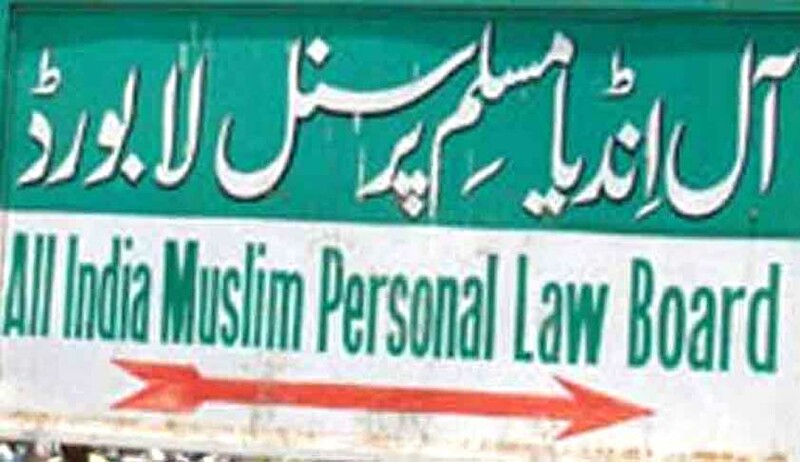 Whether Muslim personal laws can be tested as being violative of Part III of the Constitution? Whether the court of law can interpret religious scriptures of any religious denomination contrary to the interpretation put on it by the religious books and authorities, held authentic by such denomination? Whether the impugned principles of Muslim personal law, i.e. triple talaq in one sitting, halala and polygamy, form an essential part of the religion of Islam as interpreted by four schools of Muslim personal law viz. Hanafi, Hanbali, Shafa’i and Maliki; and therefore intra vires the Constitution of India? Whether the provisions of the Muslim personal laws sought to be reviewed by way of the present petitions are protected by Articles 25 and 26, read with Article 29 of the Constitution of India? Whether international instruments to which India is party/signatory or domestic practices of foreign countries can have a bearing on the issues in the present petition? According to the board, the petitions are not maintainable as the petitioners seek to enforce fundamental rights against private parties. It submitted that the protection guaranteed by Articles 14, 15 and 21 is intended to be available against the legislature and the executive, and not against private individuals. It is submitted that in the present case, the petitioners are seeking judicial orders, which are completely outside the purview of Article 32. Private rights cannot be enforced against individual citizens under Article 32(1). The board also submitted that the issues raised in the petitions are matters of legislative policy and fall outside the sphere of the judiciary. Whether the expression ‘Law in force’ used in Article 13(1) includes ‘Personal Law’? Relying on Bombay High Court judgment in State of Bombay v. Narasu Appa Mali (AIR 1952 Bom 84) and Supreme Court judgment in Ahmadabad Women Action Group v. Union of India, (1997) 3 SCC 573, the board submitted that provisions of personal laws cannot be challenged by the reason of fundamental rights, and the court cannot consider the constitutional validity of the principles of Muslim personal law relating to triple talaq in one sitting, halala and polygamy. According to the board, Article 25 guarantees individual freedom of conscience, subject to public order, morality and health and to the other provisions of the third part of the Constitution. Article 26 of the Constitution grants freedom to every religious denomination or any section thereof to manage its own affairs “in matters of religion”. Interpreting the aforesaid Articles, the Supreme Court in the case of the Commissioner, Hindu Religious Endowments, Madras v. Sri Lakshmindra Thirtha Swamiar of Sri Shirur Mutt AIR 1954 SC 282, 1954 SCR 1005 had held that those Articles protect the essential part of religion and further that when a question arises as to what constitutes essential part of religion, the same should primarily be ascertained with reference to the doctrines of that religion itself. Whether the impugned principles of Muslim personal law, i.e. triple talaq in one sitting, halala and polygamy, form an essential part of the religion of Islam as interpreted by four schools of Muslim personal law viz. Hanafi, Hanbali, Shafa’i and Maliki; therefore intra vires the Constitution of India? According to the board, if the Supreme Court holds that triple talaq in one sitting is not a valid form of effecting a divorce, then that would amount to re-writing the Holy Quran itself, which is nothing but ipissima verba of the Almighty himself and is the entire genesis of Islam. Such an alteration of the specific verses of the Holy Quran would actually amount to altering the very essence of the religion of Islam. Whether the provisions of Muslim personal laws sought to be reviewed by way of the present petitions are protected by Articles 25 and 26, read with Article 29 of the Constitution of India? The board submitted that the issue of Muslim personal law is a cultural issue, which is inextricably interwoven with religion of Islam. Thus, it is the issue of freedom of conscience and free profession, practice and propagation of religion guaranteed under Article 25 and 26, read with Article 29 of the Constitution of India. The protection of Articles 25 and 26 is not limited to matters of doctrine or belief, but it extends to the acts done in pursuance of religion. It was submitted that the Supreme Court in Syedna Taher Saifuddin Saheb v. State of Bombay, 1962 Supp (2) SCR 496 had held that the protection of Articles 25 and 26 was not limited to matters of doctrine or belief but extended to acts done in pursuance of religion and, therefore, contained a guarantee for rituals and observances, ceremonies and modes of worship, which are integral parts of religion. It was also held that what constituted an essential part of religion or a religious practice had to be decided by the courts with reference to the doctrine of a particular religion and included practices that are regarded by the community as a part of its religion. The board submitted that the court ought not to venture into the area of changing personal laws by following the trend in several other countries. It is pertinent to note that any change or reform that comes with the backing of legislature takes due care of diverse cultural background, sensitivity and sensibility of the stakeholder community and, thus, in spirit adheres to both the principles i.e., the principle of democracy and the principle of separation of powers. It is important to note that changes in other countries with a distinct socio- cultural and even legal background must not be applied in Indian context, without appreciating the distinct nature of the Indian society, as doing so shall not only destroy the democratic legislative process underlined in the Constitution of India, but it shall also be great injustice to the followers of Islam in our nation. Read the Written Submissions here.